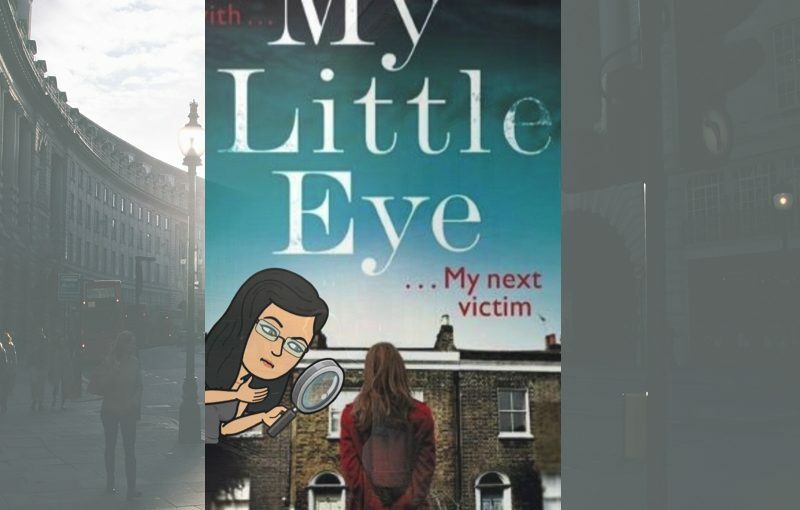 My Little Eye is a very unique take on the classic murder mystery. A story told technically from two different points of view but with the added bonus of an online true crime group adding their perspective. It is the story told by Dominic the Detective working for the police department, and Clementine, the PHD student who joins an amateur online detective group and attempts to solve a series of murders carried out by ‘The Lover’, a sadistic serial killer who poses his victims after he murders them. A rocket-paced, dark thriller for fans of Mark Billingham, Sharon Bolton and Luther. Can a group of true crime addicts take on the police to catch a serial killer? Kiss the Girls – A young woman is found dead in her bedroom surrounded by rose petals- the latest victim of ‘The Lover’. Struggling under the weight of an internal investigation, DI Dominic Bell is no close to discovering the identity of the killer and time is running out. And make them die – As the murders escalate, Clementine Starke joins an online true crime group determine to take justice in their own hands – to catch the killer before the police. hiding a dark secret, she takes greater risks to find new evidence and infiltrate the group. As Starke and Bell get closer to cracking the case, neither of them realise they are being watched. the killer is close to them than they think, and he has his next victim – Clementine – firmly in his sights. Personally, I think that this blurb gives too much away. In my opinion, and it is just an opinion, a blurb should give you a set up for the story and perhaps a few tantalising nuggets of information to encourage you to read past the first chapter, which in most books would be introducing characters and setting the scene. Often, if I am struggling to get into a book after the first chapter, I’ll skip a few pages to read on, if I then feel I’ve missed anything, I’ll double back to catch up. NONE of this was necessary for My Little Eye. The book begins with a prologue. Written in the voice of one of ‘The Lovers’ victims, this is essentially a prologue to the kill. It sets the tension level really well and leaves you wanting much much more. Chapter 1 is just over a page long, chapter two is just over two pages long. We continue in this pattern until the introduction of the online crime group and divert back to this pattern when small titbits of information need to be added to the story. One thing that Stephanie Marland is very good at in her books, is pacing. She knows just when to speed things up with a short chapter to introduce more evidence and just when to include more characters with more viewpoints and thought-provoking clues. My Little Eye is a great book. It follows a very familiar path of serial killers and police investigations, but where it differs from your average crime thriller or police procedural is with the introduction of this online true crime group and their lines of investigation. Often ahead of the police, they pool their expertise, knowledge and on some occasions the fact that they are not tied by rules and procedures, to solve the case. Do they solve the case before the police? That would be telling. I have been a fan of Stephanie Marland for a few years now. All be it, under her pseudonym of Stephanie Broadribb, or more accurately as her blogging name ‘Crime Thriller Girl’. I started out as a corporate suit by day and a crime fiction blogger – Crime Thriller Girl (hence the name of my blog) by night. Now I’m a thriller writer, writing as Steph Broadribb and Stephanie Marland. I’m an avid reader of all things crime thriller and I love to connect with people who share the same passion for books. I first discovered her whilst looking for bloggers who wrote about one of my favourite areas, crime fiction. She is one of the best. But not only does she write about crime and is friends with some of the biggest crime writers in the industry, she also writes crime. When I discovered that she wrote as Stephanie Broadribb, I downloaded Deep Down Dead and began to read. The Lori Anderson series is set in Florida and at first, I found it hard to reconcile a UK crime writer who sets their work in the USA. Why I found this so hard, I’m not really sure, I love Lee Child’s work and all of his work is set in the USA, in the US military in fact, and he was born in Coventry UK. Once I got past the first few chapters though, I was hooked. The Lori Anderson series is fast-paced action from the get-go. Information is introduced into the story in much the same way that a grenade is introduced into a room. This speed makes it ideal reading for commuting. When you get off that train, even if you have only travelled a mere couple of stations, you feel as though you have read one hell of a lot of the story. A few months ago, I was lucky enough to attend an event at a local literary festival in which Stephanie Marland/Broadribb and her fellow author, Isabel Ashdown did a talk on ‘How to get published’. It was one of those talks which was designed to encourage you, the writer, to progress your work and your career in the right way, not just to dither around unsure where to go for help. What I took away , however, was just how much I wanted to read Stephanie’s new book ‘My Little Eye’. Both authors read a passage from their newest books and I decided then and there to purchase both. Luckily there was a table manned by the local independent book shop, Barnards Books there selling copies and I was lucky enough to get them both signed. I am actually quite ashamed that it has taken me this long to get around to reading and in fact finishing this book. The pace meant that I should have managed it within a week of the talk. Once I did pick it up and begin to read properly, it really did only take me a week. It is a great story, gruesome in parts, but not unnecessarily so. I love the characters, especially Clementine, who Stephanie herself admits to rewriting in full on the second draft. The use of the online crime group to add intrigue and another dimension which really adds depth to the story. The lead characters, as well as the supporting characters, are fully developed and most have their own back story which gives reason and justification for their actions.